Airplanes leave trails in the clear blue skies, never miss out to catch our eyes. It’s easy to trace the straight lines diminishing after a while at the ends, looking like the tails of the jet engines. 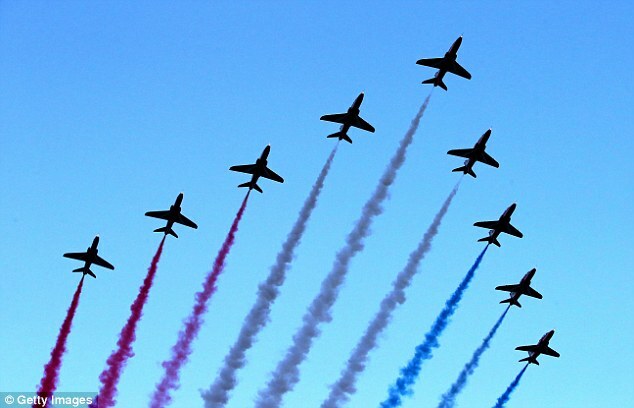 Planes fly at very high altitudes, and mixing of gases is a complex phenomenon. To your wonder, this isn’t actually smoke that is busting out of the engines polluting the environment but can be considered as artificial clouds. In simpler words, ever observed the warm breath from your mouth in cold weather? The trails works on related science, let’s know how. 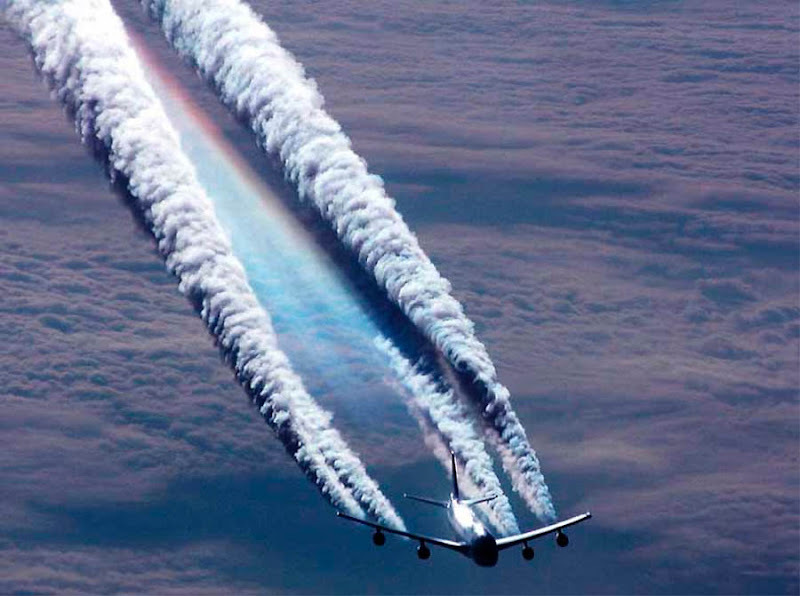 These traces are also referred as ‘contrails’ that intend ‘condensation trails’. Yet this is true that alike cars, airplanes exhaust from such great heights that have a comparatively cooler temperature that can reach to even -40° F. This cold air causes the water vapor exhausted to condense. Implying to this, the water vapor gases transform into tiny water droplets or even freeze into crystallized H2O before eventually evaporating. The clouds are made up of the mixture of condensed water vapor and ice crystals that look like white trails leaving the jet planes. Surprisingly they fluctuate in size and duration. 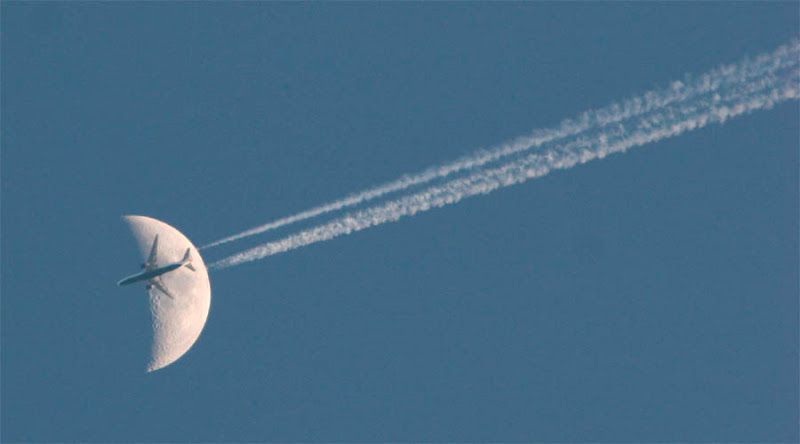 In dry air, contrails may evaporate within a blink of an eye, but in more humid states can leave a contrail cloud trailing in the sky, visible to naked eyes for hours. And if the trails start to grow in size, this indicated the presence of enough moisture. Read also: History Of The Electric Tattooing Machine: This Is How Samuel O’Reilly Used Edison’s Idea To Change History! These trails are also used by skywriters to display traces to display messages, from romantic marriage proposals to astonishing social signals in parades or even the massive inaugurations of events. Currently, skywriters also use these for satellite navigation to program messages before a flight, furthermore increasing accuracy. They use special smoke machines that have pressurized container’s full of oil to carefully display their unique patterns that are visible to people standing on grounds with a dense white smoke, and they can watch a cloud nine experience.